As in a bad Freddy Krueger movie, rumors of a binding, incestuous relationship between the Interstate Medical License Compact and Maintenance of Certification (MOC) just will not die. 1. The Compact does not replace, override, or reduce the need for the physician to meet the licensing requirements of the new state. 2. Physicians who, for any reason, do not want to use the Compact still may apply for a license in the new state using the traditional route. 3. Physicians who want to use the Compact must have an active board certification at the time of the license application through the compact. The Compact does not require MOC before, during, or after that procedure. 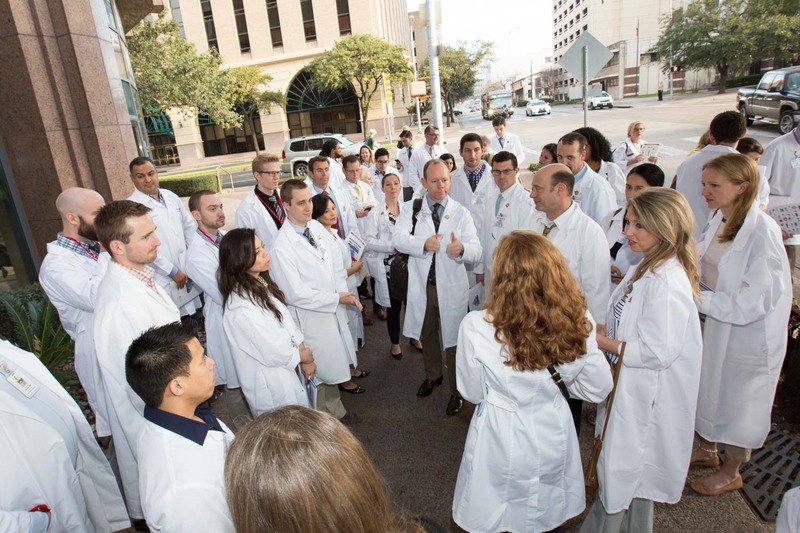 The Interstate Medical License Compact provides a route for Texas to recruit and quickly deploy physicians currently licensed in other states. 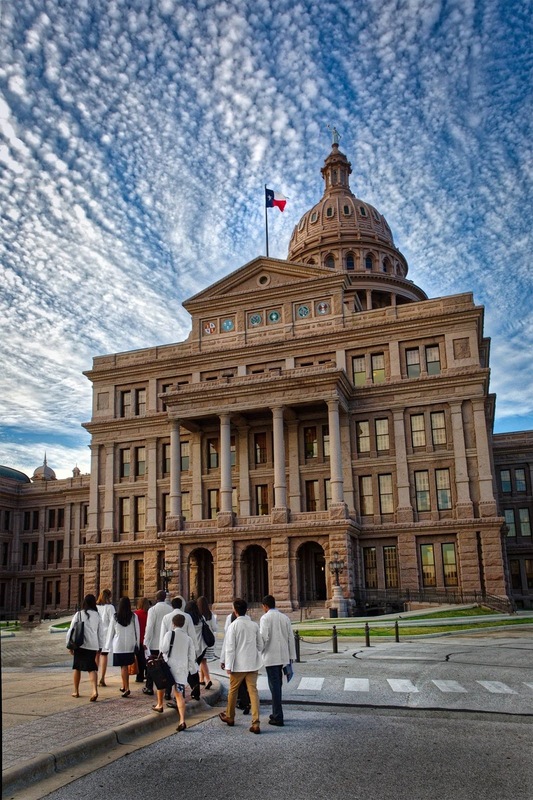 Given the desirability of practicing medicine in Texas and the state’s severe physician shortage, adopting the Compact by the Texas Legislature would have a positive outcome. This article was originally published in the March/April edition of the Travis County Medical Society Journal. Gosh, it's time to write this article again! So I was thinking—no worries, I'll just wait until after the first First Tuesday at the Capitol and write about what the House of Medicine is advocating for in this legislative session. There, done, simple. I’ve done that lots of times; it takes about 10 minutes and it's important stuff, stuff you guys need to know something about. Plus the rattlesnake wranglers were at the Capitol and they are fun to watch and make a great picture, and I could talk about that too. But this First Tuesday seemed different to me. For one, I work at Seton now, and I'm staffing Brackenridge this week. I saw a nice lady with Medicaid (who couldn't have afforded to see me in my private practice) complaining of hand numbness and weakness. Initially I thought it was just carpal tunnel. But after an exam and some testing, it turned out to be ALS. It made me grateful that I was in a place where I can see people who don't always have good insurance. And staffing Brackenridge makes me aware of how much need is out there. So I go down to First Tuesdays and we are fighting some of the same battles we’ve fought for years and we need to continue to fight—fair policies from insurance companies, patient safety and scope of practice, public health (smoking in public places, vaccinations) and funding for Graduate Medical Education. Medicaid is always mentioned but feels like such a losing battle that sometimes it only gets one sentence, like "Please do something with Medicaid." The Capitol was packed on this First Tuesday! I mean it was difficult to walk through the rotunda and up and down the stairs because the sanctuary cities issue was being debated in both chambers. There was a palpable tension in the Capitol that I've not run across before. I hear the same tension in the news when they are talking about D.C.—people trying to figure out how to get their head around this new administration and wondering what's going on, and perhaps, what's going to change? I found myself thinking how much easier things were to handle when it was the same old, same old. This conflict, this possibility of doing things differently, this . . . change . . . is now making me nervous. I realize change does that because it brings up the chance of loss, but it has the chance of gain as well. And really, nowhere is change more important to our lives and wellbeing than in health care. I am still hoping that something breaks lose for the better. That it somehow gets easier to see and care for patients than it is now. That we don't let people suffer for lack of access to health care. It needs to change. And yes, we have got to keep pushing for Medicaid to improve. I think now is the time to speak up—to be heard—especially for the House of Medicine. When else will we ever have a better chance to actually make a difference for our patients? So work to understand the issues, and tell your stories and your patients' stories. Believe me, there are lots of other folks out there telling theirs. Don't forget that the next First Tuesday is April 4. We had a great turn out this last time and really would love to see even more white coats in the Capitol this next time. Think about it. Meanwhile, it is comforting that there are still people out there who can mess with a rattlesnake and not (or very rarely) get bit. They may be in the safest place of all this year.